Daniela Diewock used to work as a New Media Consultant in various advertising agencies back in her home country Germany. She did her Bachelor Degree in Marketing while working at a global telecommunications company. For everyone being paranoid that strangers could spy on them using drones, cameras, microphones or even Google Glasses – finally, a solution has arrived, which is going on pre-order on September 30, 2014. Cyborg Unplug is a gadget no bigger than a laptop charger, which plugs into a wall and protects the personal privacy from devices willing to hack into one’s local Wi-Fi network. 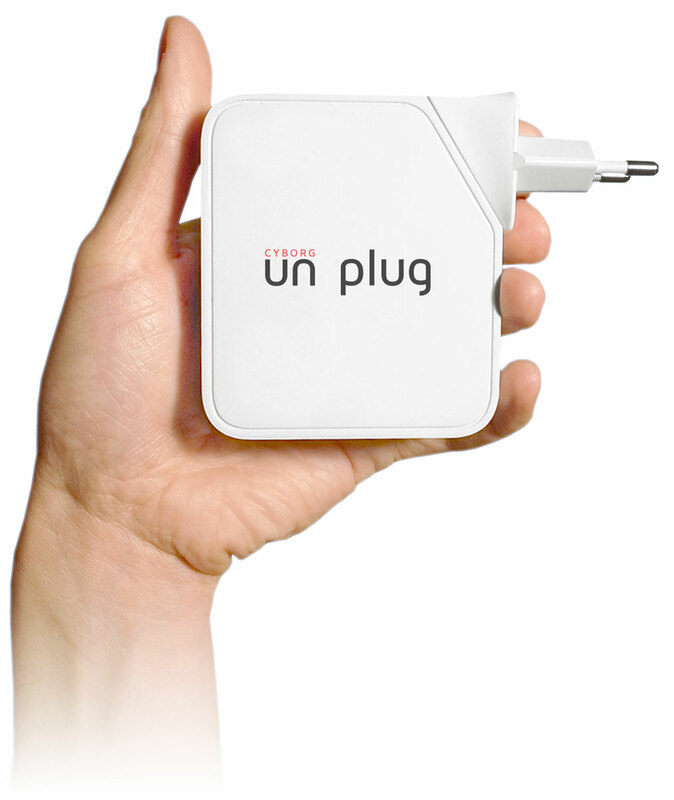 Cyborg Unplug works by sending de-authentication signals to unwanted monitoring or spying devices. Then, depending which version is being used, Cyborg either displays an alert or automatically disconnects the device from the network. The idea for Cyborg emerged of glassholes.sh, a script written by Julian Oliver to detect and disconnect Google Glasses from any local Wi-Fi network. The free piece of software became so popular amongst Google Glass critics that Oliver decided to develop a device based on the same premises. Cyborg is established with the spirit of the Stop the Cyborg Campaign. The aim of the movement is to protect the personal privacy and to stop a future where “the iron cage of surveillance, calculation and control pervades every aspect of life”. “Basically it’s a wireless defence shield for your home or place of work,” Oliver says. “The intent is to counter a growing and tangibly troubling emergence of wirelessly capable devices that are used and abused for surveillance and voyeurism,” Wired.com reported him as saying. Cyborg also offers an ‘All-Out-Mode’, which will disconnect any surveillance devices within its surrounding area. It is legal to block surveillance devices trying to enter one’s own network, however booting devices from a network that is not administered by oneself is illegal. Oliver advises against using the mode, still, the possibility is offered and likely to be abused. However, cutting the Wi-Fi might not necessarily be the right approach to protect one’s personal privacy. In fact, Cyborg does not detect surveillance devices unless they are trying to hack into a Wi-Fi, which temporarily hinders them from streaming. Videos and photos can still be stored locally and shared afterwards. Also, there is still the ultimate alternative: the smartphone. Yet, the term ‘surveillance device’ should be considered critically since surveillance is an action with intent, that is, eventually, user driven. In the post-Snowden environment, society has become very crucial about sustaining personal privacy. Even businesses, at least on the surface, have started to take a more ‘pro-privacy’ stance. Thus, the question to be asked is – whose responsibility is it to assure personal privacy? Should device makers be urged to create more privacy-friendly recording functions? Should the government develop stricter privacy policies? Or should users increase their privacy awareness combined with a more privacy-conform use of their so-called surveillance devices? Google has long realized that its Google Glass is not well received by many. Glass wearers have already been banned from bars and attacked in the street. Google tries to raise awareness about the acceptable use of the Glass. 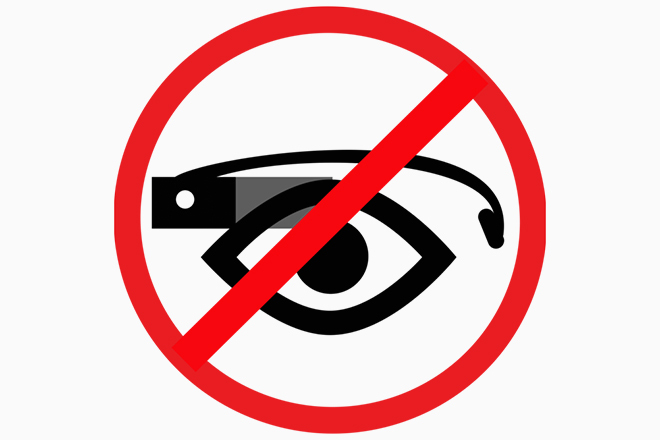 Following its principal ‘Don’t be evil‘, they released a list of Do’s and Dont’s for Google Glass Explorers. However, when it comes to the question of how to assure privacy, Google remains rather vague and abstract. The rapidly increasing number of supporters of Oliver’s idea regarding privacy protection can be traced back to the growing demand for his device. Thus, many people feel uncomfortable with the thought of being constantly recorded in whatever ways. The fact that devices, such as the Google Glass, are pushing at the very edges of what is considered acceptable as a society, is both problematic and fascinating. There are two issues emerging from recent developments: The resentment of the tech elite and the discomfort with the technology itself. History has shown that the adaption to new technologies is a long-term social process. However, the pace of how new technology is rolled out is maybe not consistent with this very adaptation process, which makes it even harder for society to actively participate in shaping its environment. Time will tell, whether the use of technology to fix technology can be a long-term solution for a social issue. Cyborg Unplug, Web. 13 Sept. 2014. Stop the Cyborg, “More…”, Web. 13 Sept. 2014. Cyborg Unplug, “FAQ”, Web. 14 Sept. 2014. Claburn, Thomas. “Blinders For Google Glass”, 9 Sept. 2014. Web. 13 Sept. 2014. Strange, Adario. “Another Google Glass Wearer Attacked in San Francisco” , 14 Apr. 2014. Web. 14 Sept. 2014. Glass, “FAQ”, Web. 13 Sept. 2014. « The more you play, the more aggressive you become! Is this true?